Traffic fines. The bane of our road-based existence, they often seem unfounded or even fraudulent and are generally tempting to just toss aside and ignore altogether, especially in light of the fact that we’re constantly seeing minibus taxis blatantly break the law without penalty. Not to mention, as they occasionally get lost in the dark abyss of SA administration, they’re easily taken a little too lightly. But, alas, for the most part, once received, a parking or speeding ticket is there to stay, and will either need to be settled or legally squashed sometime in the relatively near future. 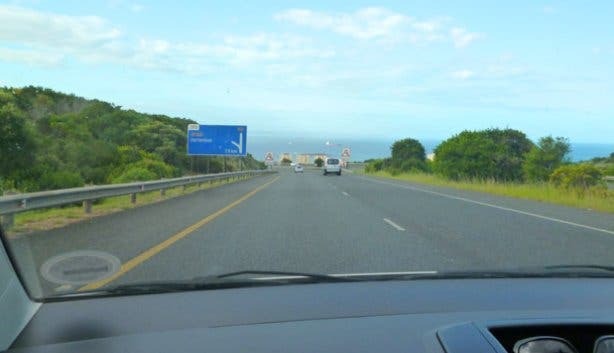 Yet, even something as seemingly simple as addressing a road fine is not always so clear-cut: instructions are confusing at best, time frames are blurry and queries are generally transferred along a bureaucratic line as long as the N2 highway. So, to simplify things for you, and to help you deal with the dire situation efficiently, below we’ve included both a series of steps to follow to pay traffic fines in Cape Town and the answers to a few frequently asked questions. STEP 1: Make sure you understand what type of traffic fine it is, as this informs the amount of time you have to pay it. 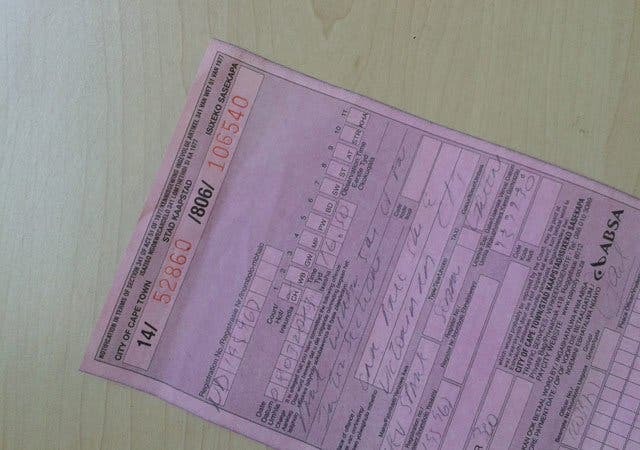 There are two kinds of fines: a Section 56 notice, which is an instant summons issued directly to you while on the road by a traffic officer, and a Section 341 traffic ticket, the first in a series of notices that is either attached to your car while you’re not present (that dreaded pink leaflet) or is issued by post if your offence is caught on camera. STEP 2: If you’ve received a camera fine, you can view the photo at the Gallows Hill (Cape Town) Traffic Department in Green Point, or, in most (but not all) cases, online at Paycity.co.za (phone the traffic department to confirm). Section 56 notice: this ticket type features a court date (three to four months from the issue date) and a payment due date (two weeks prior to the court date). If you haven’t paid by the payment date, you still have these two weeks of grace leading up to the court date to do so. Section 341 traffic ticket: once you’ve been issued this ticket, you have 30 days to pay before you’ll receive a ‘Notice before Summons’, giving you another 30 days to cough up the necessary cash (60 days in total; though, in SA time, this could be significantly longer). After this period, you’ll receive a summons that indicates a court date (roughly three to four months from date of receipt) and a payment due date (two weeks prior to the court date). As with a Section 56 notice, despite the indicated due date, you can still pay up until the court date without incurring late fees. All the above options apply only to fines incurred within the City of Cape Town region. If the offence happened outside of this area (Paarl, for instance), you will need to follow the payment instructions printed on the fine. If paying in person or by mail, be sure to include a copy of the ticket with the amount. It is not advisable to send cash in the mail in South Africa. If paying at a post office, this must be done at least two days prior to the court date. If paying by mail, bear in mind that the SA postal service can be rather slow. Be sure to mail your payment in good time so that it reaches the traffic department before your court date. Note: If you’re not sure whether you still have a traffic fine or two outstanding, you can call +27 (0) 860 10 30 89. Once you’ve given them the notice number of the fine, your vehicle registration number or ID number and a few personal details, they’ll be able to confirm this for you. Alternatively, you can view traffic fines online via Paycity.co.za. How do I go about contesting or reducing a traffic fine? 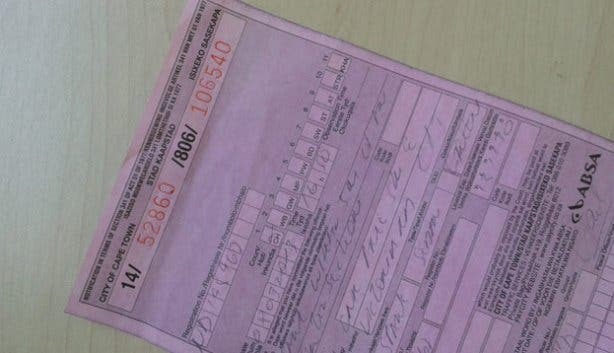 Believe it or not, if you have a good rationale, it’s definitely worth challenging a ticket – the City’s traffic department is, in fact, open to reducing penalties or even cancelling them altogether. The best way to contest a fine (before you receive a summons) is to write a letter clearly stating your motivations and post it, along with a copy of the ticket, to the address above. If you’ve already received a summons, you’ll have to go directly to the public prosecutor at the court mentioned on the notice and present your argument and a written statement in person (this must be done prior to your court date). As for what constitutes a good reason for the reduction or dismissal of a fine, well honesty is important, but they’ll take into account things like employment status, financial stability, whether or not you were aware you were transgressing the law and whether or not there was a medical or other emergency at the time (“I was late for work” or “I wanted to test how fast my new BMW can go” don’t usually fly). If you feel the fine was unlawfully issued, try to include evidence, like photographs (some ingenious individuals have even made use of images from Google Earth to prove that speed cameras were illegally positioned). What are the consequences if I just don’t pay my fine? Well, in a South Africa where administrative departments are poorly run, at best, sometimes, to be honest, there aren’t any. Though, that’s a risky game to play. Typically, if you don’t pay, you’ll receive a summons to go to court, where you can argue your case in person (if you don’t succeed in having the fine dismissed, you’ll generally then have to pay the full amount at this point). If you’re not present on your court date, you will be held in contempt of court, the charges become much more serious and a warrant for your arrest will be issued (remember, you cannot be arrested for outstanding fines, only for ignoring a court’s orders). Can a police officer issue me with a traffic fine? Yes, contrary to popular belief, it’s not only traffic officials (officers in blue uniform) who have the power to present people with tickets – members of the South African Police Service (SAPS), Law Enforcement and the Metro Police all have the authority to do so too. Will I ever be under obligation to pay a traffic fine on the spot at the time of the offence?If a traffic officer is insisting that you pay a fine then and there, he’s breaking the law and probably planning to pocket the money. No traffic officer should accept cash on the road; the fee for the fine needs to be paid to a traffic department, and an official receipt should be issued. The only time you may have the option of paying on the road is at a roadblock where there is a formal cash facility. But even here, though police officials have the right to issue you a summons, they cannot legally coerce you into coughing up on the spot. Is the much-debated points-demerit system in place yet? No, it’s not in place in Cape Town yet, and the relevant authorities have not indicated a date by which it should be rolled out. Once it is implemented, the public will be informed via the appropriate mediums. In a nutshell, under this system, you’ll accumulate points for every traffic infringement made, and once a certain number have been attained, you’ll have your driving licence suspended. What happens if I get a traffic fine in a rental car?If the fine was issued because of an offence you committed, you’ll be liable to pay it along with the rental company’s set administration fee (usually just over R200). 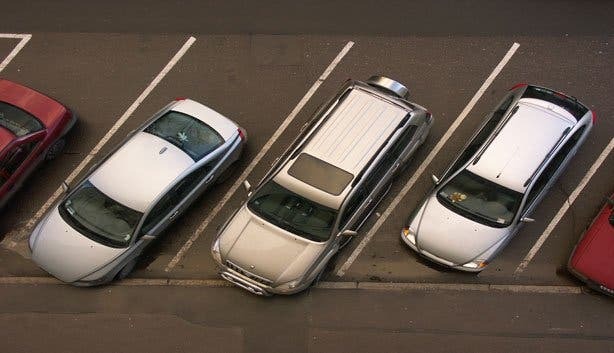 If the vehicle has already been returned when the fine is received (if it’s posted), the business will use its records to trace the ticket to you and redirect the costs. At this point, if you’d like to, you can contest the fine as a normal citizen would do using the method described above. If, however, the fault lies with the car hire company (in the case of an expired licence disc), they’ll be responsible for covering the cost. What happens if I receive a fine in an area/province other than the one I’m based in? 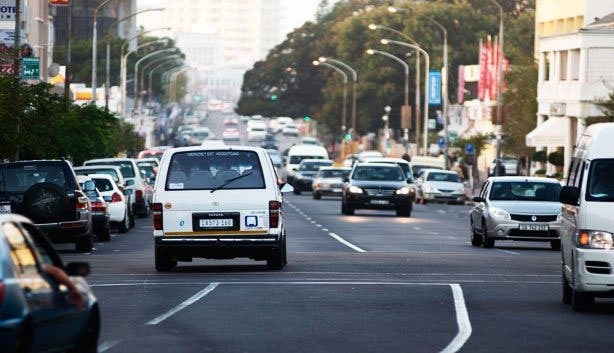 The City of Cape Town’s traffic departments will not deal with tickets issued in other areas or provinces. You will need to direct payment and any correspondence to the postal address or contact details printed on the fine itself (even if this means you’re paying a body out in eThekwini). Is warning motorists of roadblocks illegal? The act of warning a fellow motorist about roadblocks, either by flashing lights or on social media is illegal. There are no specific law against this practice yet, but it still defeats the ends of justice. Traffic fine free and keen to hit the open road (responsibly)? Browse through the sections of our site devoted to day trips and on the road activities in Cape Town.